Minnehaha Food Market owner Abdi Osman was born in Ethiopia and moved to San Diego in 1990. He comes from a business background, however upon arriving in San Diego he began working with non-profit organizations, focusing primarily on helping refugee populations. Working with refugees, Abdi found a lack in the availability and access of ethnic foods. He opened Minnehaha in City Heights in response to the need. He describes his market as a “one-stop shop” where people can purchase phone cards to call home, and can also buy familiar foods and ingredients. Abdi is working with us in order to improve his market and promote healthy eating in within the neighborhood. 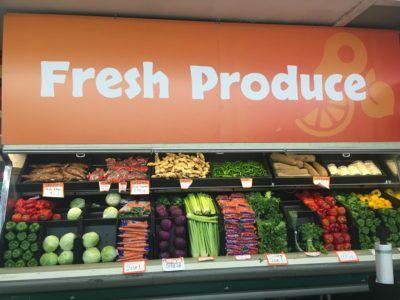 He has already made huge changes, including restructuring his market’s layout to highlight fresh produce upon entry, and has other projects in the works both inside and outside.